The Singapore Chapter is a dynamic chapter comprising hotelies from a diverse range of backgrounds, nationalities and industry disciplines. We host a variety of regular events ranging from professional development initiatives to hotel tours to community service to social events such as happy hours and family outings. Whether you are an industry pioneer, an aspiring leader or a dynamic young star, please come join us at our next event! 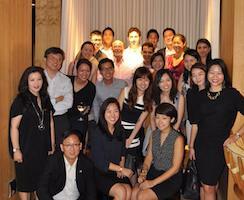 On May 31st, the Singapore chapter held their Annual General Meeting at the Andaz Studio. The annual HICAP Update conference in Singapore always presents a great opportunity to connect with fellow Hotelies from near and far. 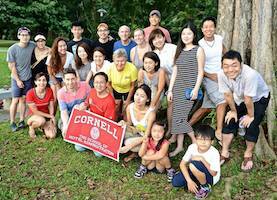 This year was no exception as a number of regional alumns were in Singapore for the three-day long event. On February 16, the CHS Singapore Chapter celebrated the Chinese New Year at the Red House Seafood Restaurant, Clarke Quay.